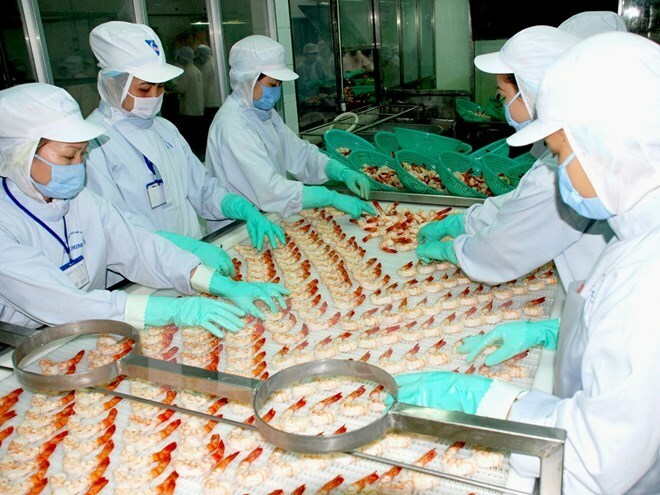 Hanoi (VNA) – Japanese authorities have adjusted schedules for checks on antibiotic residues in seafood products imported from Vietnam, according to the National Agro-Forestry- Fisheries Quality Assurance Department. As from September 13, 2016, random checks for Chloramphenicol (CAP) in shrimp and shrimp products were reduced from 100 percent of batches to 30 percent. However, all batches of cuttlefish will continue to be checked for CAP. Meanwhile, checks for Sulfamethoxazole and Sulfadiazine have been conducted on 30 percent of batches as from August 2 and September 9, respectively. Checks for Furazolidone, Enrofloxacin will continue to be conducted for all batches of shrimp from Vietnam.